5-2 What are the responses of Japanese Americans and Japanese nationals residing in the U.S. toward the “comfort women” issue? Conservative Japanese media often portray Japanese Americans as being concerned about and speaking out against the construction of “comfort women” statues and memorials in the U.S. But the vast majority of individuals who are organizing against the “comfort women” memorials in the U.S. have actually been Japanese nationals temporarily residing in the U.S., “shin issei” (new first generation) immigrants who have migrated from Japan in the recent decades, and Japanese right-wing forces coming from Japan, and are not part of Japanese American communities. Japanese Americans who have migrated before the WWII and endured the forced relocation and incarceration during the war and their descendants have expressed a different perspective regarding the issue. While most Japanese Americans have not paid much attention to the issue in the past, the emergence of Japanese right-wing movement in the U.S. in opposition to the “comfort women” statues and memorials brought the issue into many Japanese Americans’ consciousness, which led to multiple Japanese American groups voicing support for “comfort women” memorials and opposition to the right-wing Japanese historical revisionism. experiences of victimization under the forced internment during the WWII and their struggle for a formal apology and redress from the U.S. government. Historical denial among the Japanese right-wing and some Japanese nationals living in the U.S. felt reprehensible in the eyes of these Japanese Americans. At a 2013 public hearing on the plan to build a “comfort women” memorial in Glendale, California, prominent Japanese American groups including Nikkei for Civil Rights and Redress and the local (San Fernando Valley) chapter of the Japanese American Citizens League expressed their support for the proposed memorial. And in March 2014 Japanese American Association of New York cancelled a reservation for a “comfort women” denial event at its space once they found out about the purpose of the event, forcing its relocation. 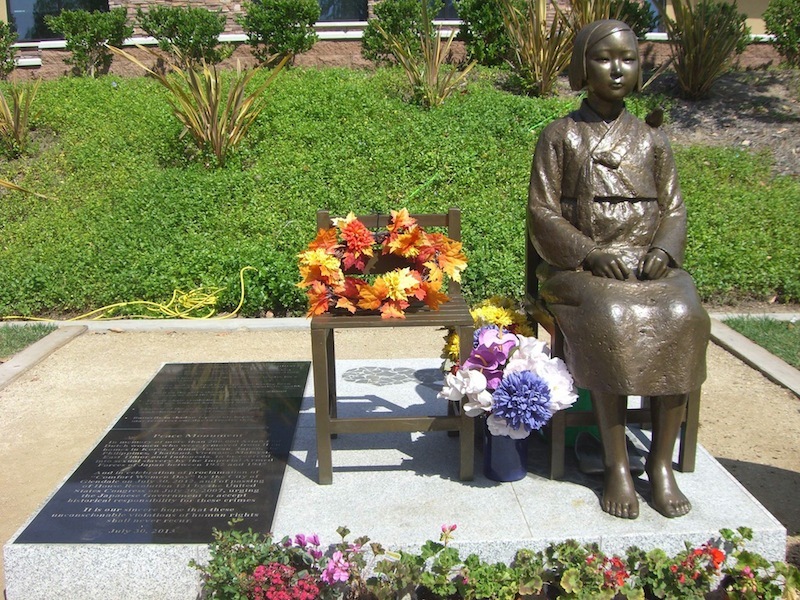 In September 2015, the Board of Supervisors of the City and County of San Francisco unanimously voted to approve the construction of a “comfort women” memorial on one of the city parks. For the first time, some Japanese American leaders came out in opposition, citing the concern that the memorial would divide the community. Behind the scene, they were lobbied heavily by the Japanese Consulate General of San Francisco, the City of Osaka, Japan which is a sister city to San Francisco, and Japanese far-right groups such as Nadeshiko Action (deceptively calling itself “Japanese Women for Peace and Justice” in English). Japanese government pressured Japanese American organizations to oppose the memorial by threatening the withdrawal of Japanese government and Japanese national corporate support for important cultural and social service organizations for Japanese Americans, creating serious divisions within Japanese American and Asian American communities. But many other Japanese Americans and Japanese American groups supported the memorial in solidarity with other Asian American communities. The vast majority of activists mobilizing against “comfort women” memorials are Japanese nationals residing in the U.S. and “shin issei” (new first generation) immigrants from Japan. But some individuals in these communities have also advocated for a victim-centered resolution to the “comfort women” issue, supporting “comfort women” memorials and education. For example, several Japanese nationals and “shin issei” immigrants spoke in support of the “comfort women” memorial at the public hearing in San Francisco. Some Japanese nationals and “shin issei” immigrants were also among the scholars who endorsed the “Statement in support of historians in Japan,” published in May 2015. That said, there are certainly many among Japanese nationals and “shin issei” immigrants who oppose “comfort women” memorials or take the revisionist position, and their influence may be on the rise. These individuals form close relationships with conservative groups and media in Japan, organize locally, and speak out online against the orthodoxical history of “comfort women.” For example, the group Global Alliance for Historical Truth, which has filed a lawsuit against the City of Glendale seeking the removal of its “comfort women” memorial, is a consortium of right-wing commentators and activists in Japan and Japanese nationals living in Southern California. 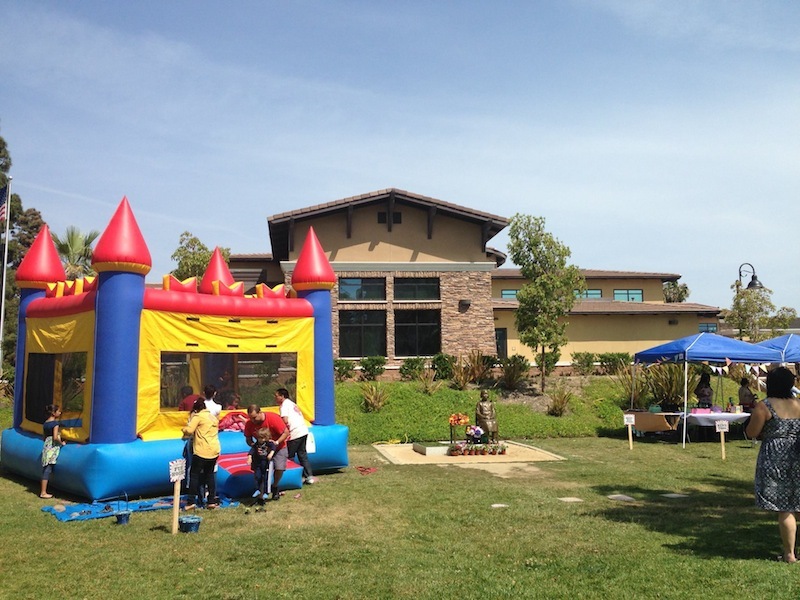 GAHT frequently holds public events for Japanese nationals in California and for Japanese allies in Tokyo. A GAHT event in Tokyo was co-sponsored by Sankei Shimbun, implying a close relationship between GAHT and the conservative newspaper. In addition, primary plaintiffs in a lawsuit brought against Asahi Shimbun at a district court in Tokyo are Japanese nationals living in the greater Los Angeles area. 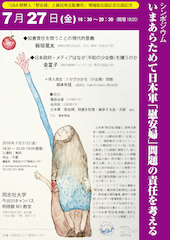 The plaintiffs are assisted by Nippon Kaigi (Japan Conference) and other conservative groups in Japan. Vast majority of participants at the 2015 right-wing event in New York were also Japanese nationals. Many Japanese nationals living across the U.S. are writing about their views against the historical orthodoxy of “comfort women” in their blogs and on social media. 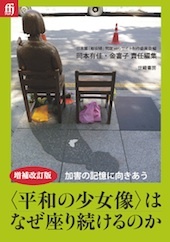 Free publications for Japanese nationals that are distributed at Japanese grocery stores and other community spaces sometimes publish opinion ads about the “comfort women” or feature stories about it that urge readers to take actions against “comfort women” memorials. The acceptance of right-wing historical denial among Japanese nationals in the U.S. may be attributable, in part, to the difficulty to obtain legitimate books and other print publications from Japan, leading them to find untrustworthy information published by the revisionists that are prevalent online. Of course, not all Japanese nationals or “shin issei” immigrants are historical revisionists: right-wing revisionists are perhaps more visible because of their social media activities and their disproportionate exposure in conservative Japanese media such as Sankei Shimbun. In addition to attacks on the former “comfort women,” Japanese “comfort women” denial is often linked to racism toward Korean and Chinese Americans. As their presence become more visible, and especially with the Japanese government publicly endorsing their activities, Japanese nationals and “shin issei” immigrants face further isolation in their new home. In addition, when they represent themselves as Japanese American as they make racist or revisionist statements that seek to exonerate the Imperial Japanese military, they are harming the reputation of Japanese Americans who have spent decades fighting the prejudice that suggests that they were defenders of the Imperial Japan.